Exactly three years have passed since Animal Crossing: Wild World1 was released for Nintendo DS. I'm sure there are many fans that have been waiting expectantly for this title. Firstly, could I ask each of you to explain what your role in the game's development was? 1 Animal Crossing: Wild World was released in Japan in November 2005 and in Europe in March 2006. 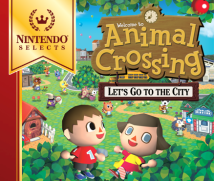 It was the fourth Animal Crossing title to be released in Japan and the second in Europe. It is the first to be released on a handheld console. My name is Hisashi Nogami and I work in the Production Department of the Entertainment Analysis & Development Division (EAD). As the director of this title, my role was to oversee its development from the original concept, as well as working on other aspects of the game such as the development of its communication-related features. 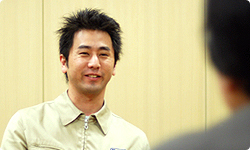 I'm Isao Moro, and I'm also from the Production Department of EAD. I worked as sub-director on Animal Crossing. My role was to oversee the development and implementation of system features and to work on the debugging side. 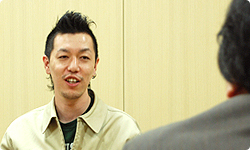 My name is Ryuji Kobayashi, also from the Production Department of EAD. On this title, I worked as the design director and was in charge of directing and editing the game’s graphics. 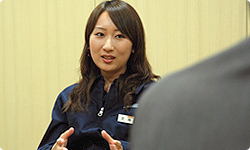 My name is Aya Kyogoku and I am also working in EAD, in the Production Department. As the Sequence Director, I was responsible for all elements relating to the animal’s behaviour and dialogue, such as writing the script. Thank you. Now, Nogami-san, could you tell us how the planning for this project began? Certainly. As soon as the DS version of Animal Crossing was completed, I was involved for some time in software development for Wii, including Wii Sports. I then went on to oversee development of the Mii Channel for Wii. As things turned out, you ended up getting sucked into working on the Mii Channel. And I was told to knock it into shape within two months! (laughs) Then, after things had settled down a bit on the Mii Channel, I was assisting with the general development of the Wii system. It was at that point that I started to think about Animal Crossing, and I was thinking: “Isn't it about time we started planning the next title?” But I really didn't have any time, so I was at a loss as to what to do. 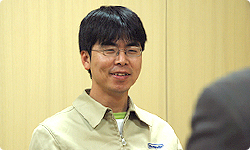 At that time, I was frequently joining meetings about the Wii system development so I had a lot of opportunities for discussion with Nogami-san. But it didn't seem as if the work on the Mii Channel was going to end any time soon, so I was concerned as to when he might be able to work on Animal Crossing. It was in December 2006, when my involvement with the work on the Wii system functions had drawn to a conclusion, that we began work on the Animal Crossing. I did have some work still to do on the Mii Channel following its launch, but I did this at the same time as starting work on Animal Crossing. So that means that this title has taken round about two years to develop. Can you tell us what you were most conscious of when you first looked at the new Wii console while thinking about how to develop an Animal Crossing title for it? As you would expect, the thing that I was most conscious of was WiiConnect242. Fortunately for me, working on the Mii Channel had taught me a great deal about what kinds of things you might be able to do using WiiConnect24. 2 WiiConnect24 is a Nintendo network connection for Wii which is always online and can automatically download new information and other data. At that point, I had researched the functions of the Wii system thoroughly and knew exactly what was possible. So my starting point was to think about how these functions could be utilised in Animal Crossing. I will come back to the way you decided to utilise the Wii system functions in Animal Crossing a little later in the discussion. Before that, could you tell us how you ended up becoming involved, Moro-san? I had been the System Director for the Nintendo DS version. So it was natural that you should work on the Wii version. Yes, it was. 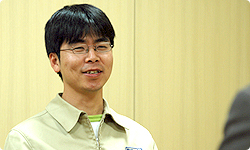 As with Nogami-san, when work calmed down a little on the Wii system functions, I became involved in Animal Crossing quite naturally. And how about you, Kobayashi-san? When those projects were over, I became involved in the Animal Crossing project. So it's really the same kind of timing as the other people here. So you were able to shift from one job to another without it being a waste. As Miyamoto-san always says, “life should be lived without waste”. 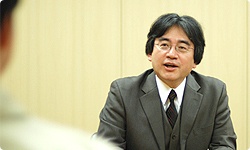 Kyogoku-san, I spoke to you before, during the interview about The Legend of Zelda: Twilight Princess. Your main job was to prepare the script, meaning you had to think about the character's dialogue. Wasn't there a huge difference between working on Animal Crossing and Zelda? Absolutely. It has a completely different feel to it. But in terms of the amount of dialogue, as far as I was concerned, there wasn’t much difference. They were both very demanding. And on top of that, there was the localisation. With the translation work to prepare the versions for worldwide release, there were a lot of elements that needed to be adapted for each different language and culture. I'm sure that in that sense it was even tougher than Zelda. That was the case with this title in particular, because it’s scheduled for release at around the same time worldwide. Our colleagues from NOA (Nintendo of America) would keep asking us when Animal Crossing would be ready. I think that’s because NOA were well aware that the sheer volume of text in Animal Crossing meant it was going to be no ordinary title. (laughs) So they needed to make sure they were prepared by getting the localisation structures established well ahead of time. Okay, let’s go back to the start of the project. With the team decided and work set to start on the Wii version, did you find there were aspects of the DS version which you felt obliged to carry over, or which somehow acted as obstacles? Naturally, there were issues like that. But we decided to put the previous title out of our minds for the time being, and start work on the next one afresh. After all, Animal Crossing was originally a title that you could enjoy fully even when playing the game on your own. It's a game where players are able to decide what their own goals are and enjoy the game in their own way: “I'm going to complete this task!" or "I'm going to design a beautiful house!" But ever since the DS version, some people have come to think that if you can't connect to other players then Animal Crossing isn't going to be any fun. But it’s not just about that, is it? Right. There’s no doubt that connecting to other players makes the game more enjoyable. But it's not as if everyone can play the game like that. That's why it's fine for players to play the game alone. But even when you’re playing alone, if you think "at some point I might try connecting with another player", it totally changes your motivation while playing. By connecting to and interacting with other players, the enjoyment of the game really increases. By connecting with other players via the internet I think you'll get double or triple the amount of enjoyment. The core element of this game which doubles or triples the enjoyment the player gets is the one you mentioned a little earlier: the use of WiiConnect24. That’s right. For this title, we’ve come up with four new core elements, one of which is the use of WiiConnect24.